Dale Earnhardt, Jr. rolled into Phoenix International Raceway with a suitcase filled with dirty laundry today, following a coast-to-coast media tour to celebrate his victory in last Sunday’s Daytona 500. 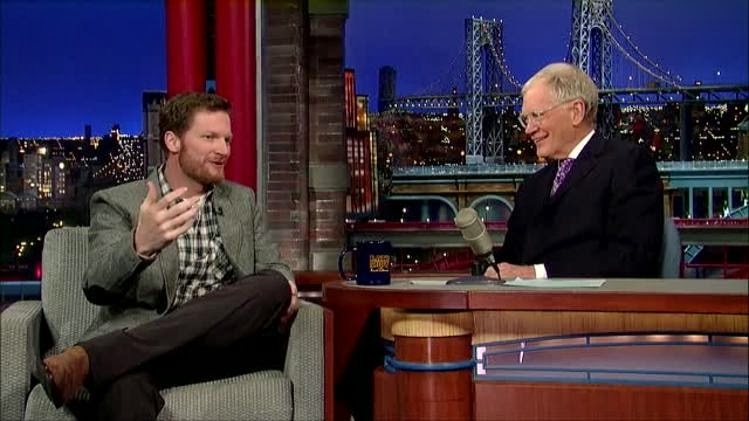 And Earnhardt said he enjoyed this experience even more than he did after winning his first `500’ in 2004. While he left for Speedweeks 2014 hoping for a win in the Daytona 500, Earnhardt admitted not being entirely prepared for the whirlwind, post-500 Media Tour that followed his win. In fact, he said he was forced to fall back on longtime girlfriend Amy Reimann to outfit him this week. “Amy is good friends with this gal Kristin that works in Charlotte and has helped me a few times. Amy works with her when we need to go to special events and I need to get a sports coat or something. Just by luck, Kristin was in New York working with Lavender; the shop that Amy works at in Mooresville. Just by fate, these people were in New York… so on our flight from Daytona, Kristin was scrambling trying to put together some things. I never had to wear socks or underwear twice, so that was good. The Hendrick Motorsports driver said he was deeply moved by the reaction of the fans following his win. “The fan reaction videos were pretty incredible,” he said. “That kid crying… just seeing the reaction from the fans… means probably the most. Hearing from the Redskins (Earnhardt’s favorite NFL team) is pretty awesome. Rendezvous Ribs from Memphis is going to send me some ribs, so that is awesome. All kinds of things keep happening (and) I don’t know what is going to happen next. Earnhardt said his main concern now is to get back into race mode in time for Sunday’s race at Phoenix International Raceway. “In my mind, we haven’t celebrated yet,” he said. “We have been going around and talking about the win, but it’s been real subdued. We haven’t cut up any. Due to the responsibilities to the media… things have been very calm this week (and) we haven’t really celebrated the way I like to celebrate. I look forward to doing that when we get a moment to do that. He said he should have no trouble refocusing on the job at hand at PIR. “I feel like I shouldn’t have any problem getting out there on the race track and doing the best I can,” he said. “I’ve been doing this a long time and have had the opportunity to win races and get back the next weekend and do well. Comedian Tim Wilson passed away last night in his hometown of Columbus, Georgia, of an apparent heart attack at age 52. 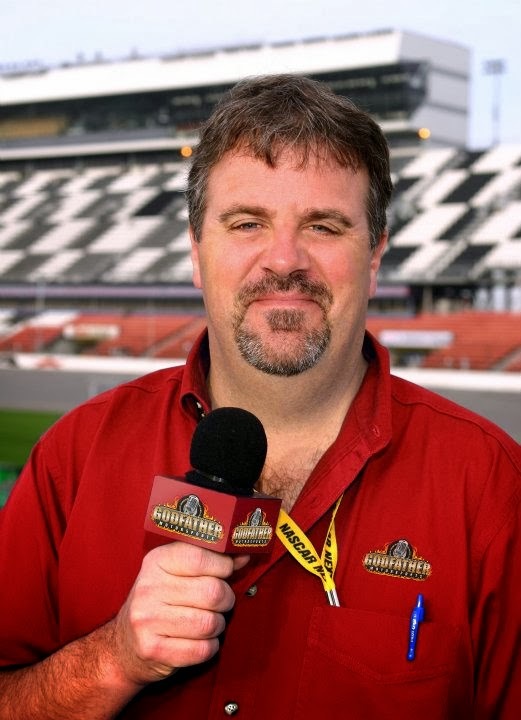 Tim appeared on "Sirius XM Speedway" a handful of times over the years, and his offbeat views on the world of NASCAR never failed to keep us in stitches. He wrote and performed two of our all-time favorite musical masterpieces, “The NASCAR Song,” and “The Talladega Song,” which we have played – ad nauseum -- prior to every Talladega race weekend since taking to the airwaves in November of 2003. We will continue to do so in the future. He also co-wrote the Jeff Foxworthy hit, "The Redneck 12 Days of Christmas,” and was a favorite at comedy clubs around the country for many years. We considered Tim to be a member of our radio family -- kind of like the weird uncle who shows up at family reunions and makes inappropriate remarks about the potato salad – and our condolences and prayers go out to his family, friends and legions of fans. Richard Childress Racing has tabbed Cale Conley to drive a limited schedule of events on the NASCAR Nationwide Series this season, in the team’s No. 33 Chevrolet Camaro. Conley competed full-time in the NASCAR K&N Pro Series East last season, finishing 12th in championship points with four Top-5 and five Top-10 finishes, as well as a pole at Dover International Speedway. He will make his first Nationwide Series start for RCR on March 15 at Bristol Motor Speedway, with Nick Harrison serving as crew chief. 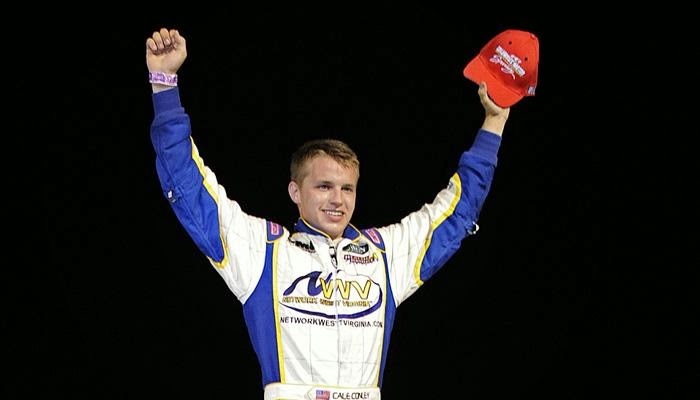 The 21-year old Conley began racing at the age of five, running Quarter Midgets, Midgets and Sprint Cars before turning his attention to stock cars with starts in the K&N Pro Series and X-1R Pro Series in 2011. One of racing’s most potent partnerships is reuniting for the STP 500 at Martinsville Speedway on March 30. 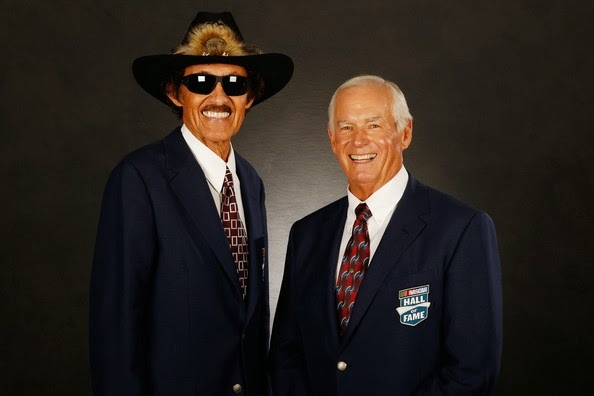 Richard Petty and Dale Inman, who combined for more wins than any other driver-crew chief team in the history of NASCAR, have been named Grand Marshals of the STP 500. With Petty behind the wheel and Inman turning the wrenches and calling shots from the pits, Petty Enterprises dominated the sport for nearly three decades. They combined for 193 victories and eight championships, both records for a driver-crew chief. Fittingly both Petty and Inman are enshrined in the NASCAR Hall of Fame. Petty and Inman notched 15 wins together at Martinsville Speedway, tops for both driver and crew chief at the historic half-mile track. And they will get one more chance to shine at Martinsville Speedway when they give the command for drivers to start their engines on March 30. Tickets to the STP 500 on March 30, the Kroger 250 on March 29 and Pole Day on March 28 can be purchased by calling 1.877.RACE.TIX. Tickets may also be purchased online at www.martinsvillespeedway.com. Tickets for youth 12 and under are just $10 in the Clay Earles Tower, rows 15-52. Teen tickets (ages 13-17) in the same area are $25. Youth and teen ticket prices are good with the purchase of an adult ticket. Youth 12 and under are admitted free to the Kroger 250 NASCAR Camping World Truck Series race on March 29 and to Pole Day on March 28. Adult ticket prices for the STP 500 start at $37. Last Thursday at Daytona International Speedway, Wood Brothers Racing was preparing their famed No. 21 Motorcraft/Quick Lane NASCAR Sprint Cup car for the second of two Budweiser Duel qualifying races. But something, or more accurately someone, was missing. As soon as driver Trevor Bayne crossed the finish line in sixth place, earning the Wood Brothers the 14th starting spot for the 56th annual Daytona 500, Eddie Wood was on a Roush-Fenway team airplane heading to Concord, NC. He met his father there at 9 a.m. the next morning, after Glen Wood drove his new Ford Taurus SHO from his home in Stuart, Va. According to the Woods, Glen’s attendance at this year’s Daytona 500 was questionable all along. Travel is not as easy as it once was for the 88-year-old, and Virginia got hammered by severe winter weather in recent weeks, making the trip even more daunting. But Eddie and his brother Len are determined people. 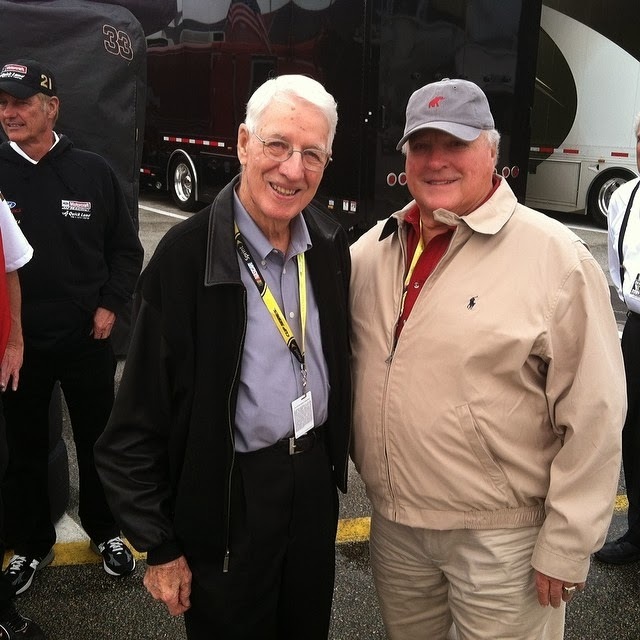 All seemed right with the world once the Wood patriarch arrived in Daytona at 5:15 p.m. Friday and both of the original Wood Brothers were in the pits, holding court in front of the No. 21 hauler. That hauler became a must-stop for some of the biggest names in racing, including A.J. Foyt, who drove a Wood Brothers-prepared Mercury to victory in the Daytona 500 in 1972. 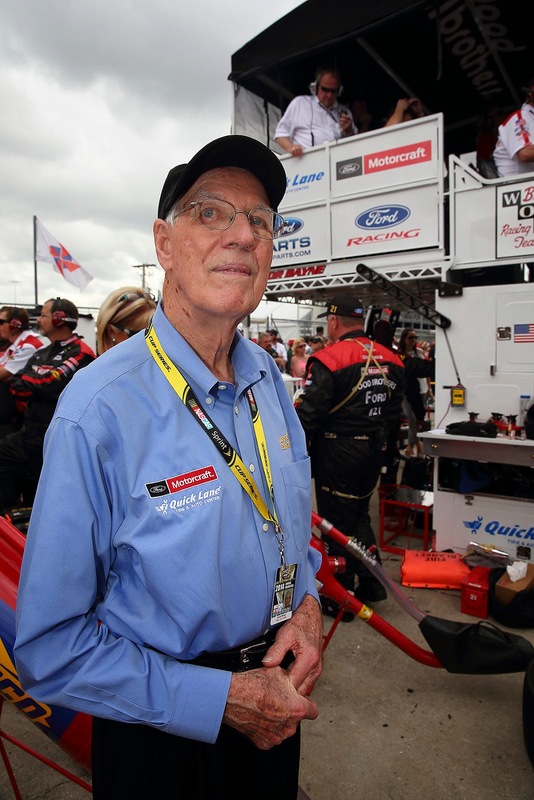 Said the elder Wood about his 68th consecutive February trip to Daytona Speedweeks, “I think it means more to my family, or at least to Len and Eddie, because I’ve been here so many times. I told them I’m getting old and it (the streak) has to stop sometime, but they told me it wasn’t going to be this year. Eddie called and said he had it all figured out, so how could I refuse? I knew I needed to come in a sense, but when (my wife) Bernice said she wasn’t going to come, I made up my mind that I would stay home. Wood also took time to honor a longstanding tradition, visiting the old beach race course that was used for the final time in 1958. “I have never been down here at Speed Week where I didn’t go back down to the North Turn and go all the way down to the South Turn – where the lighthouse is – and re-live what I used to do there,” Wood explained. “The first race I ran in the sand was in 1953. I took a picture of a house a year or so ago (at) 42 Peninsula Drive. That was the office of NASCAR in 1953, and I remember it well. I went in there and Big Bill France was writing out the licenses to get you in. Wood, who sat on the pole for the final race in the sand, remembers everything about his amazing career in racing and enjoys telling those stories, including one about that historic pole position. “They ran the modified cars and sportsmen together,” he recalled. “The cars were very similar, other than the fact that the modifieds could run multiple carburetors and had big Lincoln engines. Mine had just a little 312 engine with one carburetor on a little ’54 Ford, but for some reason I beat them all. “Leonard was in the Army at that time, and I fooled with the car all winter,” he continued. “I blocked off all of the grille, except for two inches about 18 inches long across the front for the air to get through. I guess it was sort of like the air dam of today. They had just come out with 14-inch tubeless tires and I put them on to qualify, which lowered it kind of like they are today. Even though Bayne and the No. 21 crashed late in the 2014 Daytona 500 en route to a 33rd-place finish, the Wood family (and NASCAR universe) seemed happy to have the original team back together again. For the past decade, NASCAR and OCESA have established the NASCAR Mexico Toyota Series as the national championship for racing in that country. Today, NASCAR and CIE, the leading live entertainment company in Latin America and third-largest live entertainment promoter in gthe world, signed a 10-year landmark agreement for the Mexico-based Toyota Series to continue to operate under the NASCAR banner through the 2023 season. “This historic announcement represents the next step in the growth of the sport and the international impact NASCAR is making,” said Steve O’Donnell, NASCAR executive vice president of racing operations. “The NASCAR Mexico Toyota Series continues to be a bridge that makes NASCAR more relevant to the Hispanic community in the U.S. 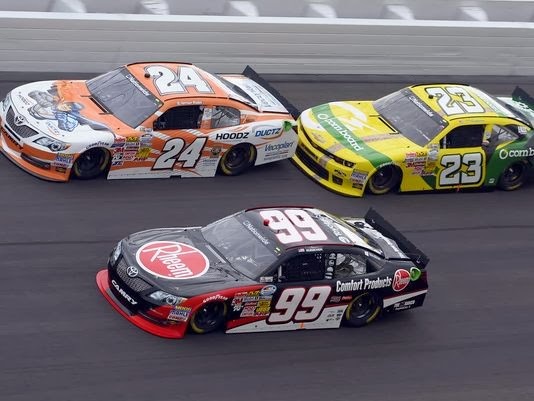 Along with the NASCAR Canadian Tire Series and the NASCAR Whelen Euro Series, the NASCAR Mexico Toyota Series gives our sport a strong and unified presence across North America and Europe." The NASCAR Mexico Toyota Series is the premier auto racing series in Mexico. It traditionally runs a 15-race schedule, and for the second year in a row will kick off the season at Phoenix International Raceway. 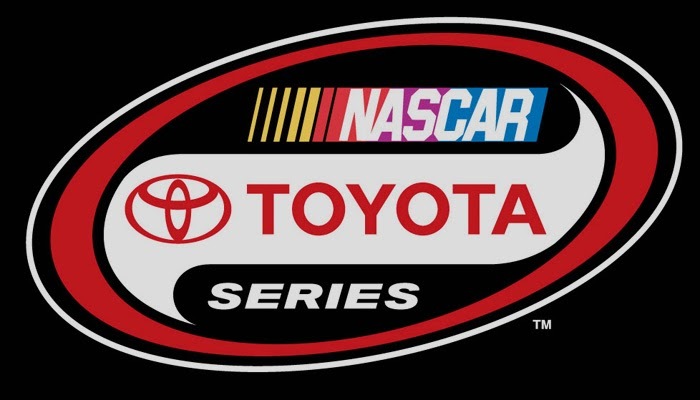 In another significant moment, Deportes Telemundo will air NASCAR Mexico Toyota Series’ Toyota 120 live on mun2, a first for NASCAR and the Mexico-based series. The 2014 season will mark the 11th overall for the NASCAR Mexico Toyota Series, which has been a NASCAR-sanctioned series since 2007. The inaugural year featured just one oval, while recent years have featured either one or two road courses. This is emblematic of the shift the series has undergone under the NASCAR banner. Official sponsors have grown from 19 in 2007 to 37 last year, while the series averaged 34 cars a race. 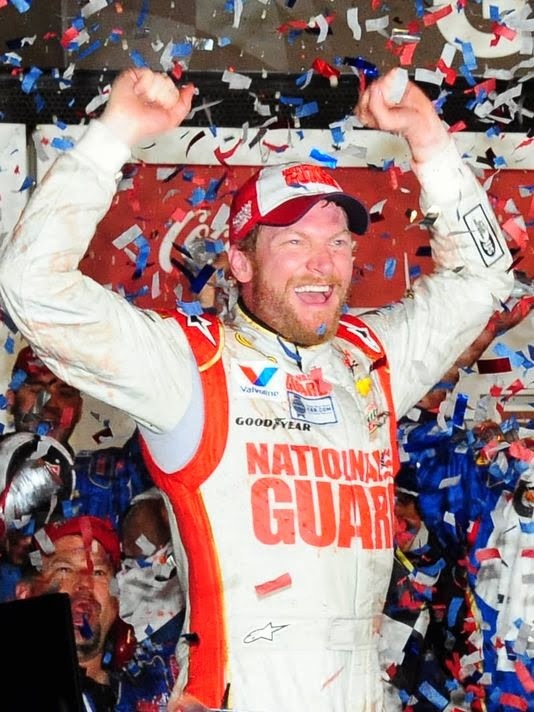 Two-time Daytona 500 champion Dale Earnhardt Jr. is ready to tell the world the story of his victory in Sunday night’s 56th annual event at Daytona International Speedway. Running on only one hour of sleep, Earnhardt embarked on a week-long whirlwind media tour this morning, after installing his No. 88 National Guard Hendrick Motorsports Chevrolet inside the Daytona International Speedway Ticket and Tours Building. The car will be part of the Daytona International Speedway tours program and will be returned to the team at the 2015 DAYTONA 500, a tradition that has been in existence since 1996. Earnhardt, crew chief Steve Letarte, team owner Rick Hendrick and the crew of the No. 88 car enjoyed a breakfast with the media and participated in interviews and pictures on Monday morning. During the Champion’s Breakfast, Speedway President Joie Chitwood presented all three Daytona 500 champions with their leather jackets, Hendrick with his Harley J. Earl Daytona 500 Trophy and Letarte with the Cannonball Baker Trophy. Chitwood and Earnhardt Jr. also unveiled the logo for next year’s 57th annual Daytona 500. The Champion’s Breakfast isn’t the only obligation that comes with winning “The Great American Race.” Earnhardt Jr. will fly across America this week, making stops in New York City, the ESPN complex in Bristol, Connecticut and Los Angeles. “This place just has a lot of great history,” said Earnhardt when asked to sum up the feeling of winning the Great American Race 500 for a second time. “It’s a great race track. You drive into it and you get a special feeling you don’t get anywhere else. As soon as you drive through the tunnel, you know where you’re at. There are some great facilities and unique tracks and places we go that I have a lot of appreciation for, but nothing like Daytona. 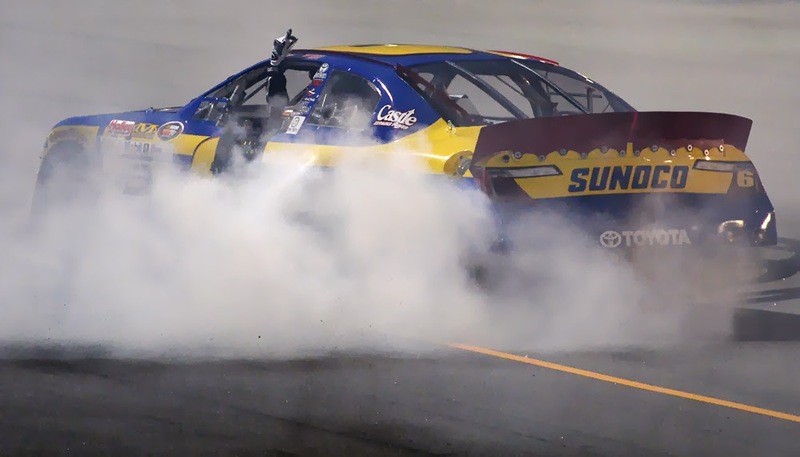 NASCAR set an ambitious goal for itself prior to the start of the 2014 season, saying it would attempt to eliminate tandem drafting in restrictor plate races at Daytona and Talladega. 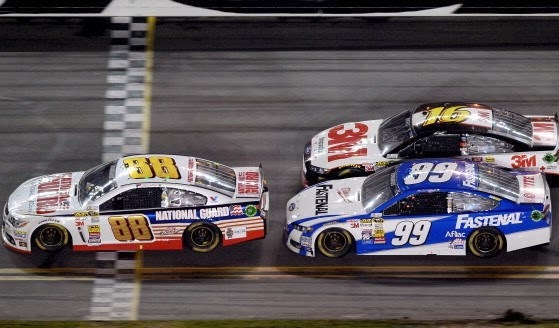 The sanctioning body informed teams last month that drivers who attempted to execute tandem drafting maneuvers during Speedweeks 2014 at Daytona would be summarily black flagged, in an effort to improve competition by eliminating the nose-to-tail, two-car drafts that gained competitors more than four miles per hour over traditional drafting formations in recent seasons. 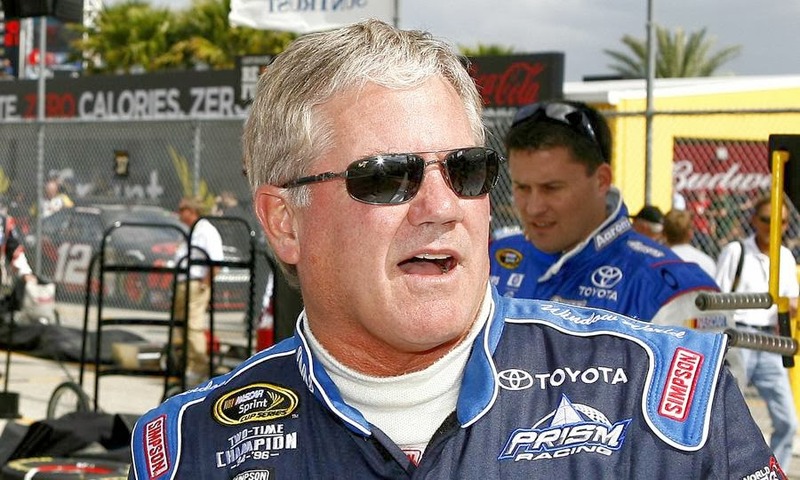 Unfortunately, NASCAR’s “simple rule” proved difficult – if not impossible – to fairly enforce. On Lap 85 of the scheduled 120-lap event, RAB Racing driver James Buescher became the first driver to run afoul of NASCAR’s new tandem drafting ban. Running behind former Sprint Cup Series champion Brad Keselowski, the 2013 Camping World Truck Series titlist was black-flagged when officials said he locked bumpers with Keselowski in attempt to navigate Daytona’s tricky outside lane. Despite ESPN in-car footage that showed the cars bumping repeatedly, but never locking bumpers, Buescher was summoned to pit road by NASCAR to serve a pass-through penalty. Keselowski was not sanctioned, leaving Buescher baffled, confused and angry. Instead, a parade of NASCAR officials has insisted – one after another -- that it takes two to tango. NASCAR repeatedly pledged to penalize both drivers for violations of the tandem drafting rule, doggedly insisting that the technique only works when both leader and pusher work together, as one. NASCAR talked the talk, but they failed to walk the walk. The sanctioning body blew the call -- first time out of the box – by convicting Buescher on sketchy evidence, while letting Keselowski go free. They then compounded the error by missing (or overlooking) several more egregious violations in the race’s final laps. Keselowski, Kyle Busch and others locked bumpers for most of the final two laps in an effort to overhaul eventual winner Regan Smith, yet somehow failed to incur the wrath of NASCAR. Those words seem sadly prophetic today, as NASCAR scrambles to explain how such a clearly stated rule could be so poorly -- and unfairly -- implemented. Pemberton pledged to speak with drivers and teams after the race, to solicit opinions on the new rules package. The feedback he received cannot have been positive. Following the first in-person meeting among the NASCAR Hall of Fame nominating committee in the Hall’s history, NASCAR today announced the 20 nominees for the 2015 NASCAR Hall of Fame’s sixth induction class, as well as the five nominees for the inaugural Landmark Award for Outstanding Contributions to NASCAR. Included among the list up for induction into the NASCAR Hall of Fame is an eclectic group of individuals whose skillsets span all levels of racing and areas of expertise. Among them are two-time NASCAR premier series champion Terry Labonte; 1988 NASCAR premier series champion and 16-time Most Popular Driver Bill Elliott; nine-time NASCAR Whelen Modified Tour and NASCAR K&N Pro Series East champion Mike Stefanik; Buddy Baker, a 19-time NASCAR premier series winner; and championship winning engine builder and team owner Robert Yates. From the list of 20 NASCAR Hall of Fame nominees, five inductees will be elected by the NASCAR Hall of Fame Voting Panel, which includes a nationwide fan vote on NASCAR.com. Voting Day for the 2015 class will be Wednesday, May 21. Fans can attend the announcement at the NASCAR Hall of Fame in Charlotte, N.C.
As was announced last November during NASCAR Sprint Cup Series Champion’s Week, potential Landmark Award recipients could include competitors or those working in the sport as a member of a racing organization, track facility, race team, sponsor, media partner or being a general ambassador for the sport through a professional or non-professional role. Award winners remain eligible for NHOF enshrinement. The five nominees for the inaugural Landmark Award are H. Clay Earles, Anne B. France, Raymond Parks, Ralph Seagraves and Ken Squier. 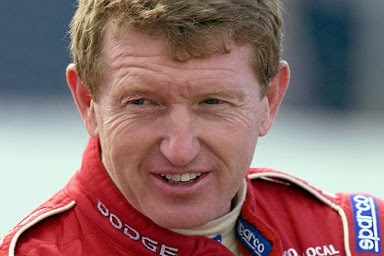 Parks is the only individual who was included as both a NASCAR Hall of Fame nominee and a Landmark Award nominee. This round of nominees was selected by a 22-person nominating committee consisting of representatives from NASCAR, the NASCAR Hall of Fame and track owners from both major facilities and historic short tracks, as well as one at-large member. The committee’s votes were tabulated by accounting firm Ernst & Young. Wendell Scott, NASCAR trailblazer was the first African-American NASCAR premier series race winner, and first to be nominated for induction into the NASCAR Hall of Fame. O. Bruton Smith, builder of Charlotte Motor Speedway and architect of Speedway Motorsports Inc.
Curtis Turner, early personality, called the "Babe Ruth of stock car racing"
Anne Bledsoe France, helped build the sport with husband Bill France Sr. Affectionately known as "Annie B.," she is the first woman to be nominated for induction into the NASCAR Hall of Fame. NASCAR Hall of Fame: Executive Director Winston Kelley; Historian Buz McKim. Track Owners/Operators: International Speedway Corporation CEO Lesa Kennedy; Martinsville Speedway President Clay Campbell; Texas Motor Speedway President Eddie Gossage; Atlanta Motor Speedway President Ed Clark; former Indianapolis Motor Speedway President Tony George; Dover Motorsports CEO Denis McGlynn; Pocono Raceway board of director member Looie McNally; Bowman Gray Stadium operator Dale Pinilis; Riverhead Raceway operators Jim and Barbara Cromarty (1 vote); Rockford Speedway owner Jody Deery; Kingsport Speedway Operator Robert Pressley. At-Large: Mike Joy, lead announcer for NASCAR on FOX. It's February and images of hard-charging stock cars drafting down the backstretch and slamming into the turns at nearly 200 MPH come to mind as we approach the Daytona 500. But before the green flag falls on Sunday, fans will enjoy a pre-race concert performed in the Daytona International Speedway infield by country music superstar Luke Bryan. For the past eight years, Sam Bass -- The First Officially Licensed Artist of NASCAR -- has had the honor of designing and presenting a one-of-a-kind guitar to the pre-race entertainers, including some of the biggest celebrities in the music industry. "I am such a huge fan of live concerts," said Bass, "and The Daytona 500 pre-race concert is always spectacular. I am so proud to present one of my custom-painted guitars to Luke Bryan and am very thankful to Daytona for the honor once again." This year's presentation is a Paul Reed Smith S2 Custom 24 electric guitar displaying one of Sam's most brilliant designs yet. A beautiful All-American theme adorns a flamed maple wood body with a red finish and a red and silver metal flake clear coat. "We're delighted to be a part of the pre-race festivities celebrating the 56th Annual Daytona 500" said Jack Higginbotham, PRS Guitars president. "We respect the impact that Sam's art has had on NASCAR fans. His graphics truly capture the excitement of the event." To read more about Sam's guitar originals created over the years for the Daytona 500, the annual NASCAR Sprint Cup Awards ceremonies, and trophies awaiting race winners in Victory Circle, visit www.sambass.com. 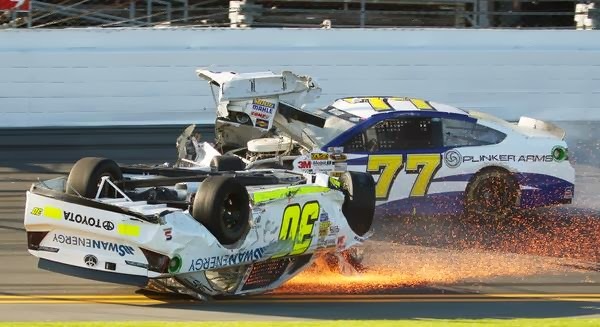 One day after sliding down the fronstretch at Daytona International Speedway on his roof, Parker Kligerman has a new sponsor. LendingTree announced today that it will sponsor Kligerman and his Swan Racing No. 30 Toyota in Sunday’s Daytona 500. This is LendingTree’s first time partnering with a NASCAR team. “The No. 30 LendingTree Toyota is ready to roll and we are looking forward to getting on track beginning with tonight’s Budweiser DUEL qualifying race and then Sunday’s Daytona 500,” said Kligerman. The Budweiser Duel consists of two 150-mile qualifying races tonight at Daytona. Kligerman, who is also a Sunoco Rookie of the Year candidate, will compete in the first race. After 10 years of branding its NASCAR Camping World Truck Series tires with the “Wrangler” name, The Goodyear Tire & Rubber Company has made a switch for the 2014 season. The move is effective as of Daytona Speedweeks 2014, marking the first time Camping World Truck Series teams will have run Goodyear Eagles since the season ending race of 2003 (Nov. 14) at Homestead Miami Speedway. At an event today at the SPRINT Fan Zone at Daytona International Speedway, NASCAR officially unveiled newly designed bodies for NASCAR Camping World Truck Series race trucks – set to debut on Friday night in the NextEra Energy Resources 250 at Daytona. The newly redesigned bodies will match the look of their respective showroom counterparts. 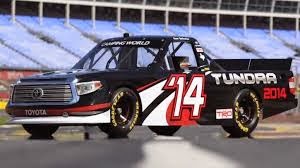 Today’s introduction of the new truck bodies follows successful launches of race vehicles in NASCAR’s other two national series – the Gen-6 car last year in the NASCAR Sprint Cup Series and the new models in the NASCAR Nationwide Series in 2010. Extensive research and testing went into the development of the new bodies, with the goal of continued close competition while allowing specific features from each model. The new trucks have a unique design that will make it easier for fans to recognize their favorite model. Daniel Suarez and Doug Coby held the winning hands in last night’s Second Annual UNOH Battle At The Beach at Daytona International Speedway. 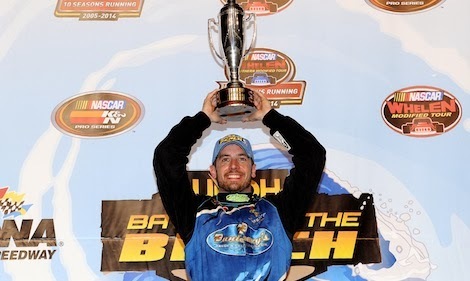 Suarez won his second NASCAR K&N Pro Series East race in 48 hours, surging to victory in the NASCAR K&N Pro Series portion of the doubleheader event, while Coby claimed the NASCAR Whelen Modified Tour event. Suarez dominated the field, fending off several challengers to claim his second checkered flag of the week in the Sunshine State. He drove his Rev Racing/Sunoco Race Fuels Toyota comes to a season-opening victory Sunday at New Smyrna (Fla.) Speedway. Suarez’s margin of victory was .596 seconds on the short track built on the backstretch of Daytona International Speedway, as the Monterrey, Mexico native claimed his third victory in 32 NKNPS starts. He is a member of NASCAR’s Next program that spotlights young talent in the sport. He was the championship runner-up in the NASCAR Mexico Toyota Series last season after finishing the 2012 campaign in third place. Austin Hill finished second while Brandon McReynolds, son of two-time Daytona 500-winning crew chief Larry McReynolds, battled from 16th position to earn the third slot. Last year’s winner, Cameron Hayley finished 14th. In the Whelen Modified Tour event, Coby made patience pay off, running among the top five all night and trailing defending NASCAR Whelen Modified Tour champion Ryan Preece for much of the race. Preece led 145 of the 150-lap feature event, but Dave Sapienza’s lapped car made contact with the left rear of Preece’s machine, badly bending its left-rear wheel. Coby took advantage after contact on the ensuing restart, taking the lead and claiming the checkered flag victory by a margin of .322 seconds. Jason Myers finished second, while Luke Fleming took the third-place finish. Preece, who started on the pole, hung on to finish fourth with Burt Myers rounding out the top five. Coby’s win is the second Battle At The Beach victory for his team. Steve Park won the inaugural race at Daytona last year. The 2012 NWMT champion started the race in the fifth position.